Enrico Sarzi, former front-man of Italian rockers Midnite Sun, will be known to many fans due to their intense touring since the band formed over a decade ago. 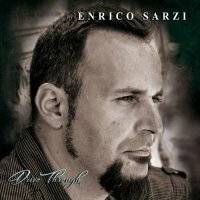 Sarzi has now released his debut solo album, although the band still consists of three of his former band, namely Cristiano Vicini (guitar), Alessandro Mori (drums) and Marco Nicoli (bass), with the added talents of Marco Micolo (keyboards). Opening with bluesy rocker 'Shameless', you not only get the feel of the depth of Sarzi's vocal stylings, but also evident is the superb guitar work of Vicini; it's a great opening to the album. The pace slows a little with 'Afraid To Be Myself' which is a nice track full of timeless melodies. The quite slow-paced 'S.O.S To God' again has a bluesy feel, that's mellow in parts, but interspersed with some excellent guitar work. The album stays at a similar pace throughout; songs starting slow and building, but I feel it's lacking something. 'Strange Freedom' is a prime example of this; a slow build that takes time to develop and finishes with a great saxophone solo by Stefano Avanzi, but for me this comes too late in the song. Even the title track follows the same formulaic pattern of the album and provides very little to get excited about. Whilst I wouldn't say the album was bad, it was missing a little spark for me. It was mellow and it does showcase Sarzi's voice, but with the quality of musicians available, I was perhaps expecting too much. It is the kind of album that is pleasant background music, but there is little that would prick up your ears. Enrico Sarzi's passion is Formula One, however, this is more McDonalds drive-thru than a drive through Monza. I would definitely suggest test driving a few tracks before buying.